Sat the last tube in the furrow, we went in for the short summer rest, which seems to occur this time of year. Later, much later, feeling restless Boomer, Mindy and I went for a short walk. I don’t like to travel too far when I have the cat trailing behind, or bouncing ahead, or running and hiding in the corn stalks. Which I listened to and followed exactly to the letter. The light from the moon shining brightly on a lone coyote rushing through the shadows which haunt the darkness. 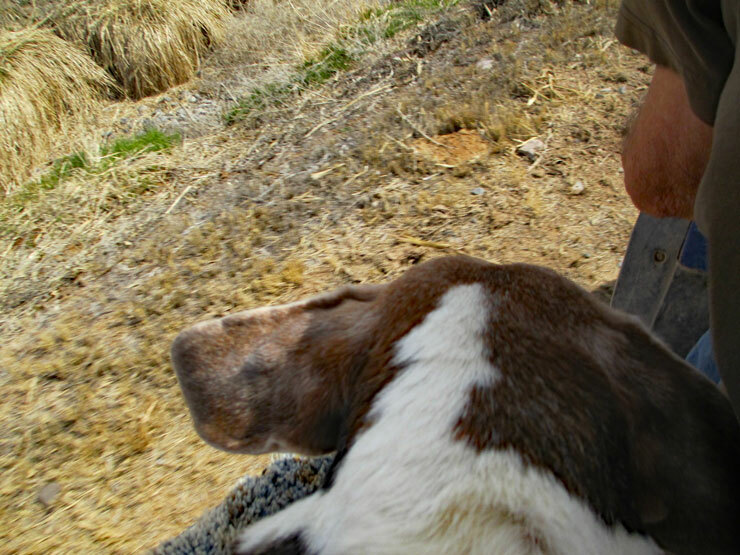 We headed back carefully…through the old corrals, cat in arms, Boomer at my feet, until safe in the farmyard, where we all went into the house for a short summer nap. This entry was posted in Life on a Colorado Farm and tagged 2018, coyote, irrigation, June 24, life on a Colorado farm, moon, Moonlight, Silvering the Land----Sunday by Dayphoto. Bookmark the permalink. They are silent walkers. Scary really! Oh! I’ve heard of coyotes taking cats and small dogs for food in the suburbs. I’m glad your cat made it through!!! I’ve learned to always listen to the silent voice in my head, exactly too. So glad you did. That moon shines in my bedroom window at a certain time of the night and it was quite lovely last night. It’s growing to full—full is the best time, although, dark is good so the stars burst forth! When we get in late in the evening, Rhody gets leashed so that he does not romp off to play with the skunk that teases him. There are others out there who I do not see. I actually do not see the skunk, but can hear it squeaking as it bounds about teasing Rhody. Oh, my! A skunk friend is so stinky! Good for you, Linda. We don’t often listen to that wise voice in our heads that steers us clear of trouble. I’m so glad you listened and acted on it. God Bless You. Me too…I’m not sure if my cat would have made it. They can be scarey. Glad you made it back ok. I’ve seen more around here and so want to go protect the baby antelope – like I could get close…. Very beautiful. It’s always nice to trail behind your nocturnal ramblings. How do coyotes react to people? Do they leave you alone? I try not to get too close…if they are in a pack they will attack. Sometimes single coyotes will also. Terry and I have been stalked three different times, while out changing water. And coyotes WILL attack a dog and grab cats and eat them. I DO NOT like Coyotes! I know it. Thankfully he/she didn’t smell us. Or, if he did decided to move on anyway. I’m so glad you didn’t ignore that … !